I think that's about it for bows, as for recipes I really don't remember, but would be more than willing to contribute what I think they should be if you want. 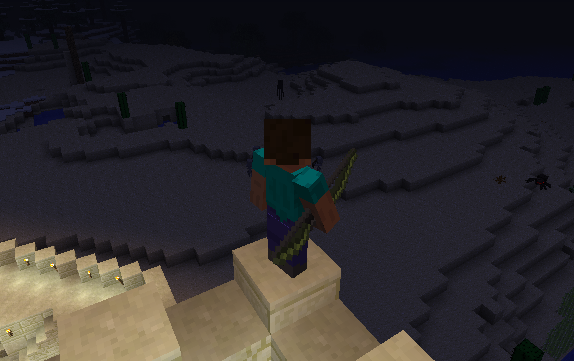 It also added a handfull of new arrows, like the Torch Arrow, Fire Arrow, Explosive Arrow, Piecing arrow, and some others that I can't think of, the piercing arrow might be from another mod but i"m not sure. 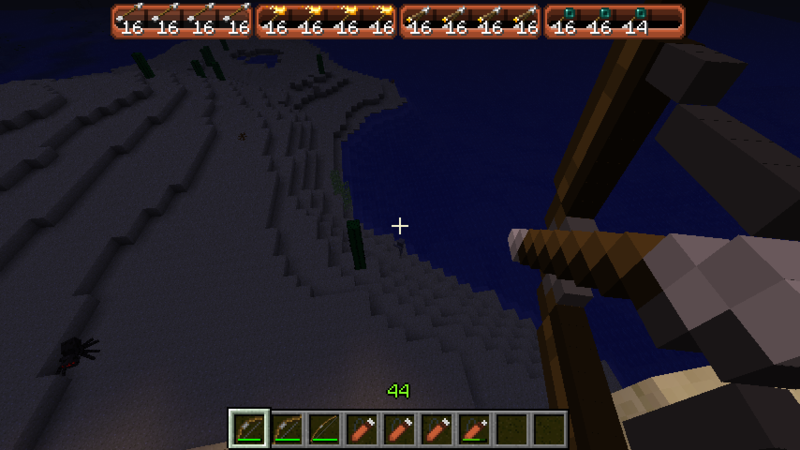 I think it might have added another arrow called the "Slow Arrow" that was made with soul-sand, sticks, and feathers. 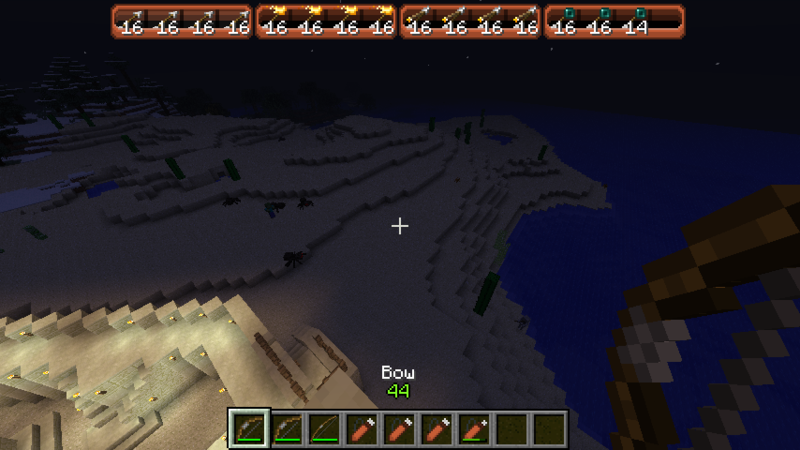 * Splitting arrow, can be crafted by placing any number of arrows and half that number of string. This is a shapeless recipe. These arrows will split into the number of arrows they were crafted with a little bit after being fired." * Added a new bow, the yumi, a Japanese bow with a bit less power than a longbow. 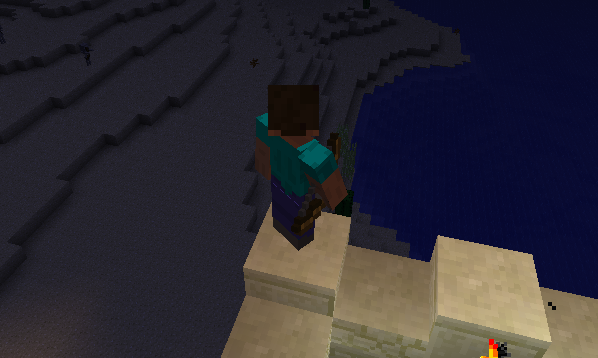 * Drill arrow, it will drill through usually six blocks of stone before stopping. The amount will vary according to what type of material it hits. One of the most notable features of this mod was the quiver, and its own backslot for it and the ability to scroll through different arrows loaded in it. 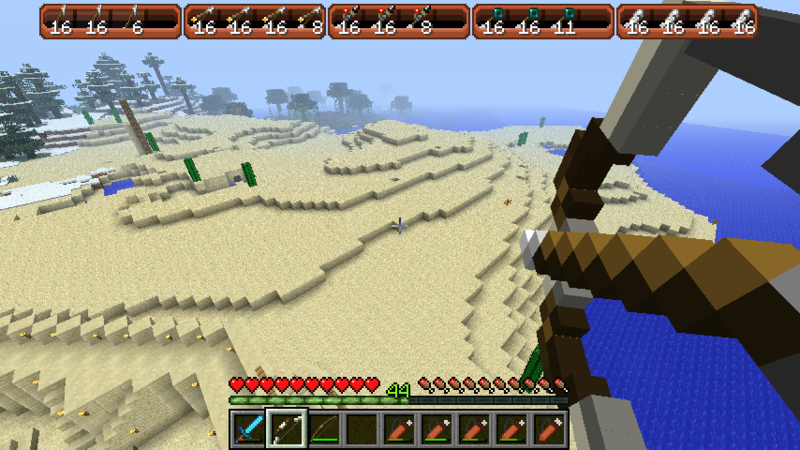 Another thing I remember was custom arrow renders for each bow and each type of arrow so you could see what you were shooting. When a bow from this mod breaks, it turns into an unstrung bow which can be pulled back like a normal bow to be re-stringed. [/b] This process consumes three string from your inventory. 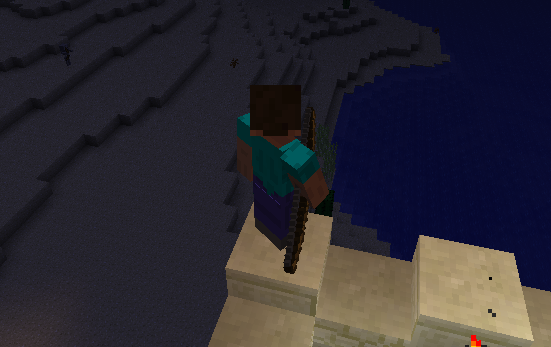 Enchantments are lost when this happens. Normal bow:[/b] This bow is basically the same as the vanilla bow. 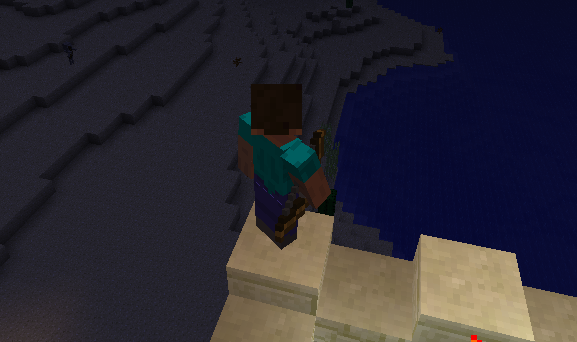 Recurve bow:[/b] This bow fires faster arrows than the normal bow, has less durability and takes longer to pull back. bow, has the same durability, and takes much longer to pull back. string. 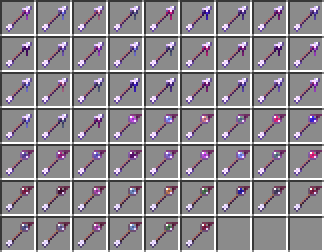 The crafting recipes using all these items are below. 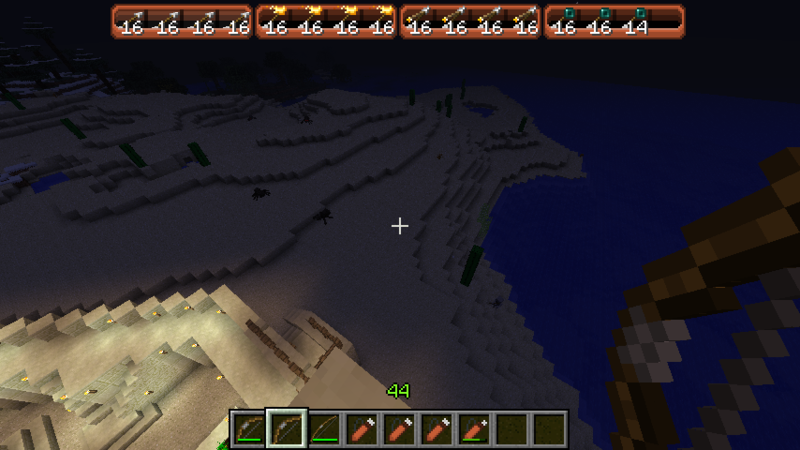 The arrows (including the vanilla one) are in their own creative tab. Fire arrow:[/b] Arrows that are on fire. They light blocks on fire after a fraction of a second, then burn away. 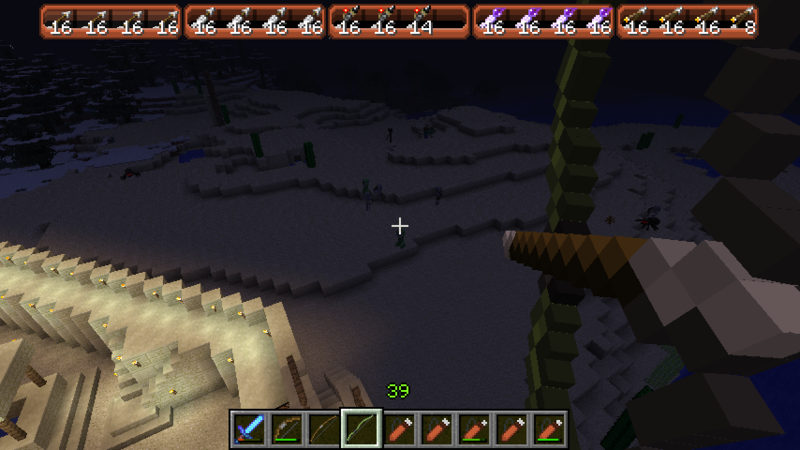 Impact explosive arrow:[/b] Explodes on impact with the ground or a mob. The explosion is quite small. in entities, but bounce off. around them so they continue to fly until they land. 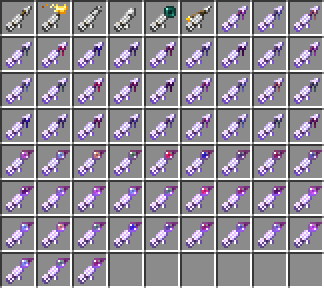 place a torch, but instead drop a torch item. again to get back a working drill arrow. If they hit a mob, they'll cause damage to it and pass through, possibly damaging another mob or breaking a block or two. 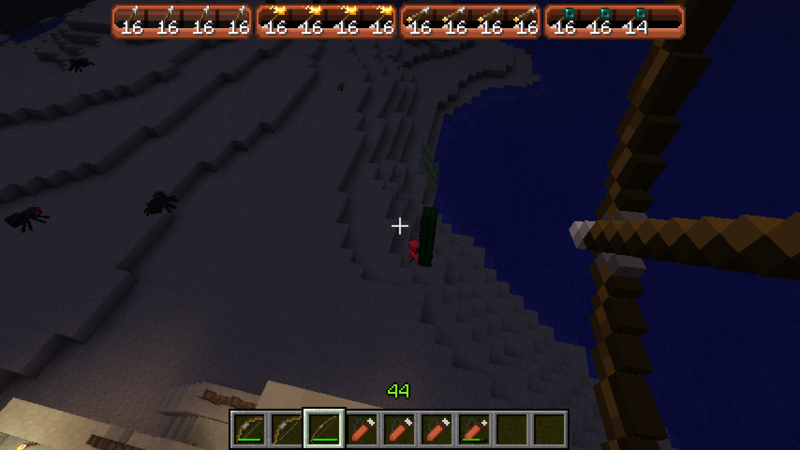 and one redstone torch (see below for the arrangement of these items). 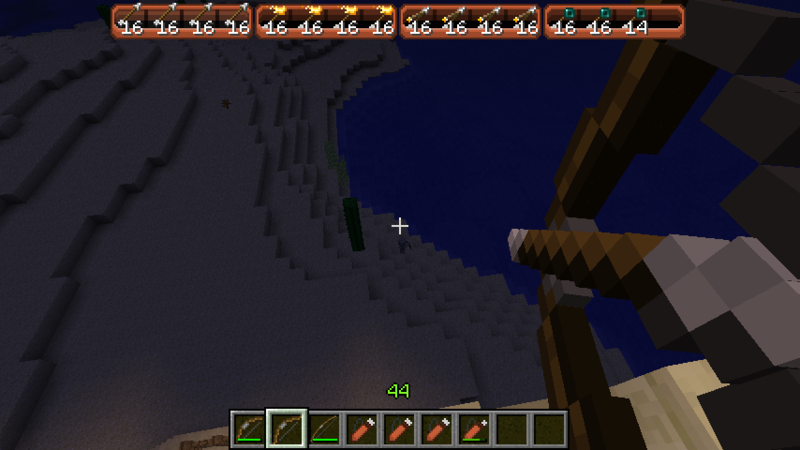 Potion arrow:[/b] These arrows will affect whatever they hit with the effects of the potion they were crafted with. Splitting arrows:[/b] All arrows are able to be turned into splitting arrows that can split into a number of arrows between 2 and 15 (inclusive). so it doesn't matter where they are. command to give yourself an arrow that will split into that number, too. Last but not least, the quiver! 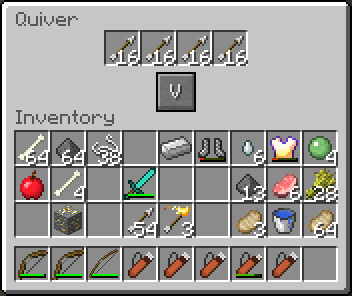 Quivers can hold up to 64 items in 16-sized stacks, to allow you to have multiple types of arrows per quiver. be selected in the config file. When a bow from this mod breaks, it turns into an unstrung bow which can be pulled back like a normal bow to be re-stringed. This process consumes three string from your inventory. 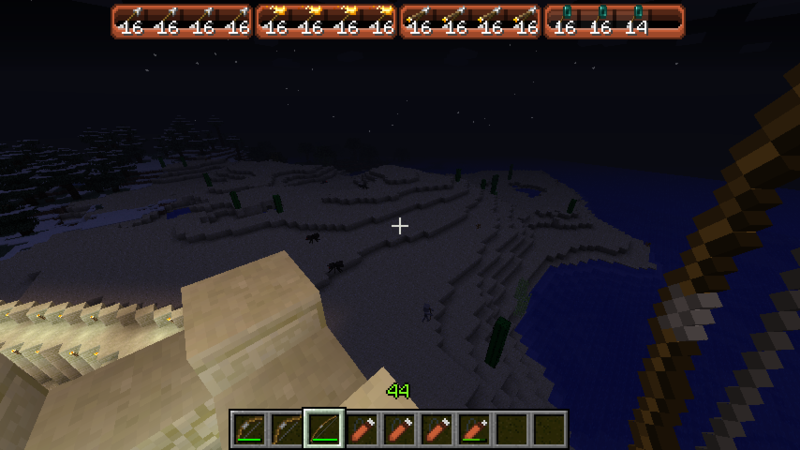 Enchantments are lost when this happens. Normal bow: This bow is basically the same as the vanilla bow. Recurve bow: This bow fires faster arrows than the normal bow, has less durability and takes longer to pull back. Fire arrow: Arrows that are on fire. They light blocks on fire after a fraction of a second, then burn away. Impact explosive arrow: Explodes on impact with the ground or a mob. The explosion is quite small. Potion arrow: These arrows will affect whatever they hit with the effects of the potion they were crafted with. Splitting arrows: All arrows are able to be turned into splitting arrows that can split into a number of arrows between 2 and 15 (inclusive). on your belt or your back. Well, for new ideas, the first thing I really could think of, was something akin to the torch arrow, and the bundle arrow, sort of like iChun's "Torched" mod. You would shoot a bundle of torch arrows into the air, where it would break apart and rain torches from the sky. It would be super useful for lighting up areas, as you just shoot a few of those into the air and you've lit up a very large patch of ground. Have you tried firing a full bundle (16) of any arrow? It's awe-inspiring. wait really? how did you get him back? or did he just show up? He replied to my PM. Although that sounds like a fun idea, I was looking for something a bit more realistic. Something that would be both realistic and useful in survival. I am sure I could add that option in creative, shouldn't be too difficult. Just finished working on the GitHub wiki for the 1.10 port. I've added almost everything from the list provided by @Drakoflame, take a look here. let me know of any more features you would like to see. 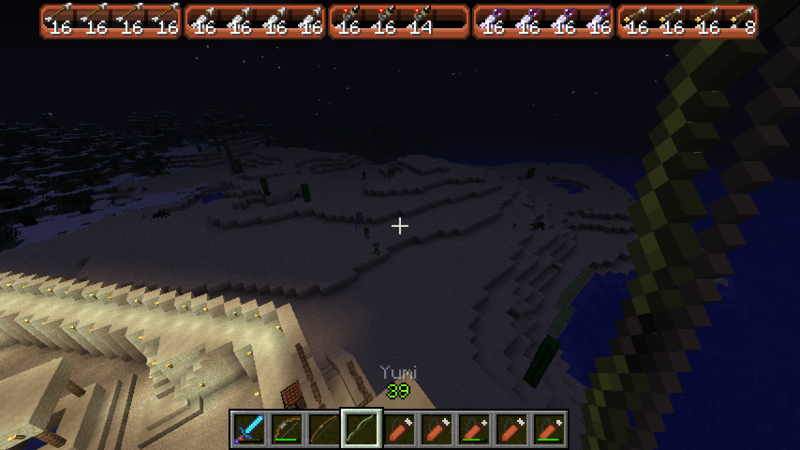 In the mean time I will slowly start building the mod from scratch. Don't forget the obvious ones—bodkins (piercing damage), broadheads (more damage and gives a pain or bleed effect), field points (IDK), fishing tips (automagically hits fish), and blunt heads (stuns). Besides that, baubles compat? Traveller's gear compat? I'm thinking of shooting gloves and thumb rings/finger pads for archery, which would increase draw speed and reduce slap (random damage). There's so much to add, and so little time. 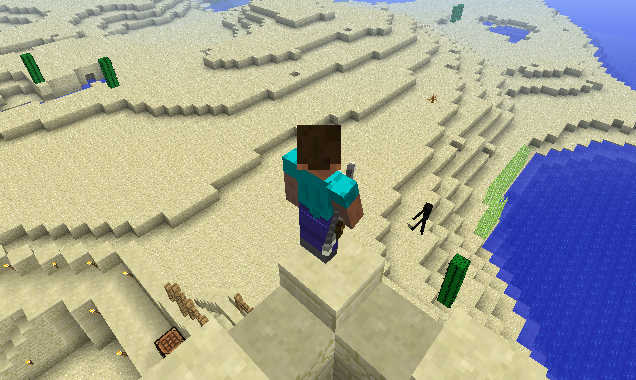 Oh please Jackiecrazy, don't stop supporting this mod, I aways loved the Better Archery mod. 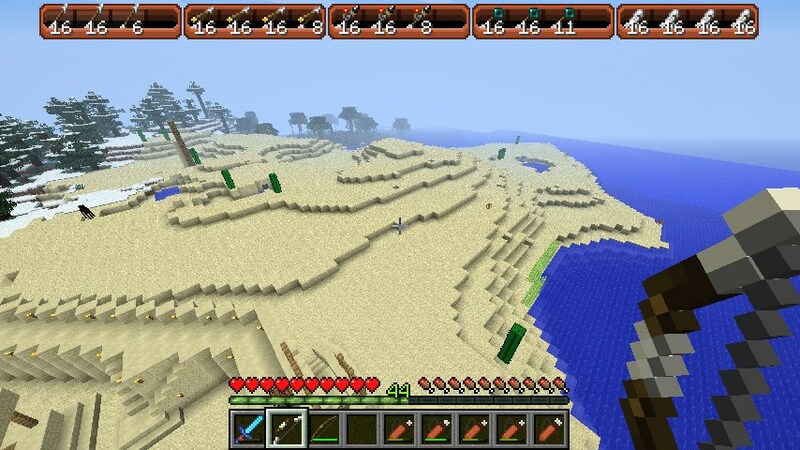 I hope see a stable release of it for Minecraft 1.7.10 one day, I think Minecraft 1.7.10 is the best Minecraft version to play mods.